Body image issues can be particularly acute for people in entertainment, which also provides most of the icons and role models of appearance. In her memoir Unbearable Lightness: A Story of Loss and Gain, Portia de Rossi writes about a dark side of pursuing a “perfect” look. “Anorexia was my first love. “I didn’t decide to become anorexic. It snuck up on me disguised as a healthy diet, a professional attitude. “Portia de Rossi weighed only 82 pounds when she collapsed on the set of the Hollywood film in which she was playing her first leading role. “This should have been the culmination of all her years of hard work—first as a child model in Australia, then as a cast member of one of the hottest shows on American television. “I don’t understand why you have to look like a model to be a successful actor, what a character looks like is an extension of what they feel,” she says. “This is going to sound offensive, but for female actors there is a uniform of being you are meant to aspire to. “There’s this new batch of younger women who all look the same: the same rail thin body, the same blond hair – it’s like they all go to the same hairdresser. “It’s kind of scary, and not the kind of image you should be putting out. “What audiences and I respond to is what you can’t see, what can’t be fully explained. Not that a lot of us don’t appreciate thin blond women – particularly those with talent, depth and passion – but thankfully there are women in film and television with other body types equally as appealing and dynamic as actors. 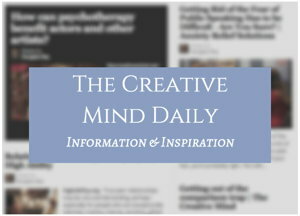 My related article: Body Image and Creative Expression.